We have seen Timmie Cameron build a lot of rock bouncer buggies over the years but none as wild as this new buggy. Tim Cameron Stand Back is it’s name and he says it has a big motor. This 1400 hp rock bouncer features a fully built Big Block engine that according to our calculations had to be around 700 cubic inches. Why so big? Well in order to make that power naturally aspirated it requires a lot of motor. What is truly unique about this rock bouncer build is the leading arm front suspension. A leading arm is basically the same thing as a trailing arm but on the front. This places the shock on the suspension link instead of on the axle itself. 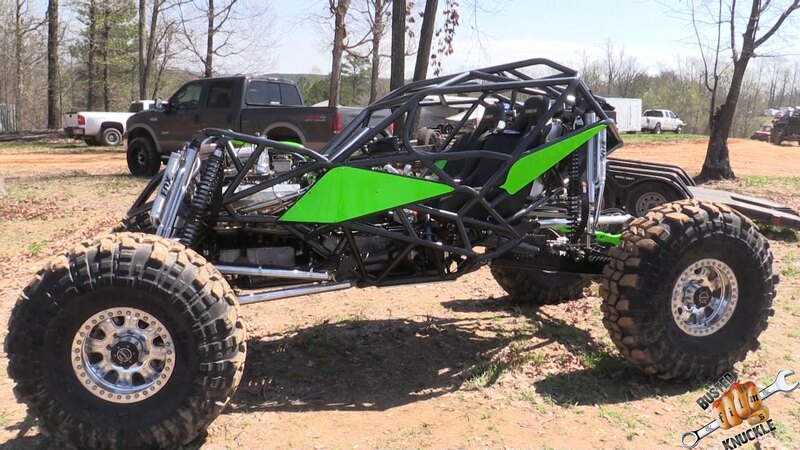 This is the first rock bouncer built with leading arms. This means it has a ridiculous amount of travel front and rear. See how it works as we bring you action from the 2018 Southern Rock Racing Series Season Opener at Northwest OHV Park in Bridgeport TX. What do you think of the new buggy? Let us know in the comments and stay tuned for more videos on Tim Cameron Stand Back.